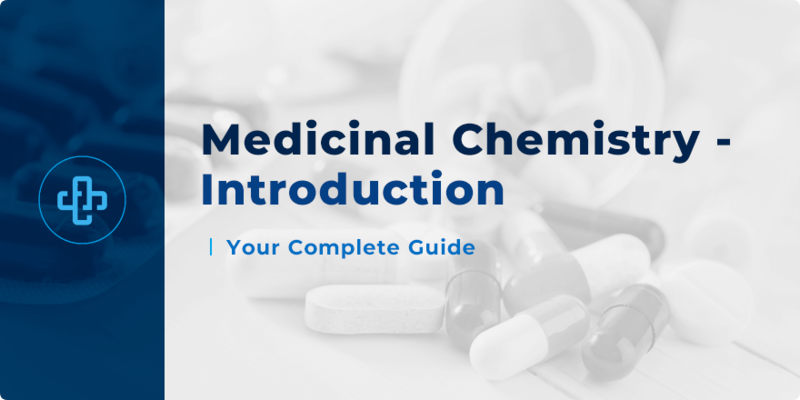 Medicinal chemistry is an interdisciplinary field of study combining aspects of organic chemistry, physical chemistry, pharmacology, microbiology, biochemistry, as well as computational chemistry. Medicinal chemistry is concerned with the discovery, design, synthesis, and interactions of a pharmaceutical agent (drug) with the body. 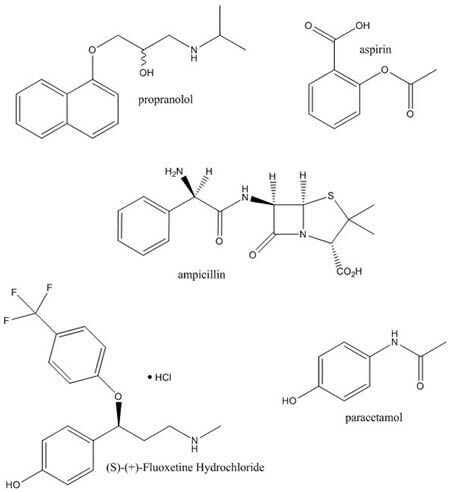 Medicinal chemistry is mainly concerned with small organic molecules both natural and synthetic. Compounds in clinical use are primarily small organic compounds. Organometallic compounds, biopharmaceuticals, and inorganic compounds are also used in medicine as therapeutics. The main drug targets in the body are macromolecules (large molecules) with molecular weights far greater than small drug molecules. Drugs bind to their targets in regions known as binding sites. Most drugs interact with their targets through intermolecular bonds. 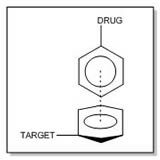 However, some drugs form covalent bonds with their targets (eg. alkylating agents). Covalent bonds are typically strong, requiring around 80 – 440 kJ mol-1 to break these bonds. At physiological pH, cationic environments are provided by protonated basic side chains of amino acids in proteins such as arginine. Anionic environments are typically provided by acid side chains of amino acids such as aspartic acid. The strength of an ionic bond is inversely proportional to the distance between the charges. The dielectric contant (ε) of the surrounding medium also plays a role. Molecular groups such as carbonyls (C=O) have a permanent dipole moment which is due to the different electronegativities of the atoms in the group. Ion-dipole interactions are electrostatic interactions between an ion and a neutral group with a dipole. The dipole is represented by the cross-ended arrow. The cross end represents the positive end whereas the arrowhead represents the negative end of the dipole. The electric field of an ion induces a dipole in a non-polar molecule. One containing an electron-deficient hydrogen covalently bonded to an electronegative atom and one containing an electron-rich heteroatom. Hydrogen bond donors (HBDs): The functional group that contains the electron-deficient hydrogen covalently bonded to an electronegative atom. Hydrogen bond acceptors (HBAs): The functional group that contains the electron-rich heteroatom and is the recipient of the hydrogen bond. 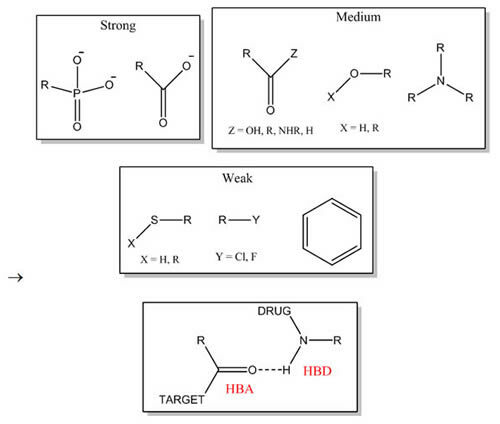 Drug-target hydrogen bond strengths are typically within the range of 16 to 60 kJ mol-1. Drug-target hydrogen bond distances are typically within the range of 1.5-2.2 Å. Consists of very weak interactions (about 2-4 kJ mol-1) that occur between the hydrophobic regions of molecules. The interactions are individually weak. However when combined together, these forces can have a significant role in binding. The hydrophobic effect typically plays a role as well when non-polar chemical groups interact. Water surrounds these non-polar regions and forms a highly ordered network of intermolecular hydrogen bonds (negative entropy ΔS). Under normal physiological conditions, hydrophobic interactions between drug and target are mainly entropically driven. Repulsive forces are short-range forces that arise when the molecular orbitals of molecules come too close to each other. Fig 2: Interactions of the cardiac stimulant and bronchodilator isoprenaline with the β-adrenoceptor binding site. Ionic interactions, hydrogen bonding, hydrophobic interactions, and π- π interactions are shown. 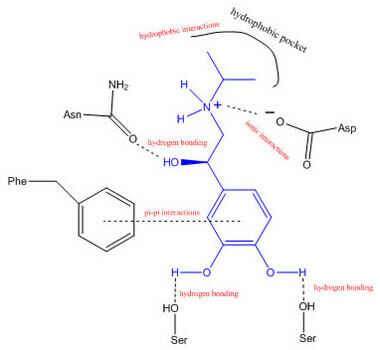 Isoprenaline’s affinity for the β-adrenoceptors is thought to be due to the presence of a hydrophobic pocket in β-adrenoceptors which can accommodate the bulky isopropyl group.